Over the last day Russia-backed militants opened precision fire in the combat zone only once. The incident took place in Donetsk sector, reported Ukrainian Ministry of Defense spokesman on ATO Colonel Dmytro Hutsylyak at a press briefing at Ukraine Crisis Media Center. “At night starting from 3:00 militants were conducting precision fire for 45 minutes from grenade launchers of various systems and small arms towards the positions of the Ukrainian troops in the area of Kamianka,” Colonel Hutsulyak said. Ukrainian troops returned fire from small arms. 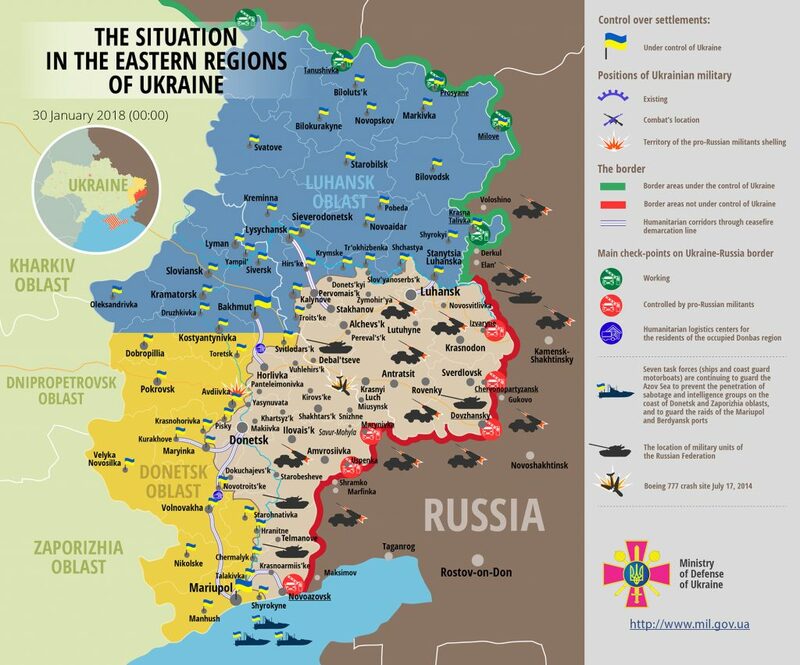 Ukrainian troops incurred no losses over the last day. The ATO spokesperson quoted intelligence of the ATO Staff as saying that Russian proxies plan armed provocations in Donetsk and Luhansk regions. “Russian occupational troops plan to get to serious provocations and even terrorist acts against the peaceful civilians on the both sides of the contact line,” Colonel Hutsulyak elaborated.